On March 23rd, in honour of International Women’s Month, McGill Women in House hosted a speaker panel attended by the Hon. 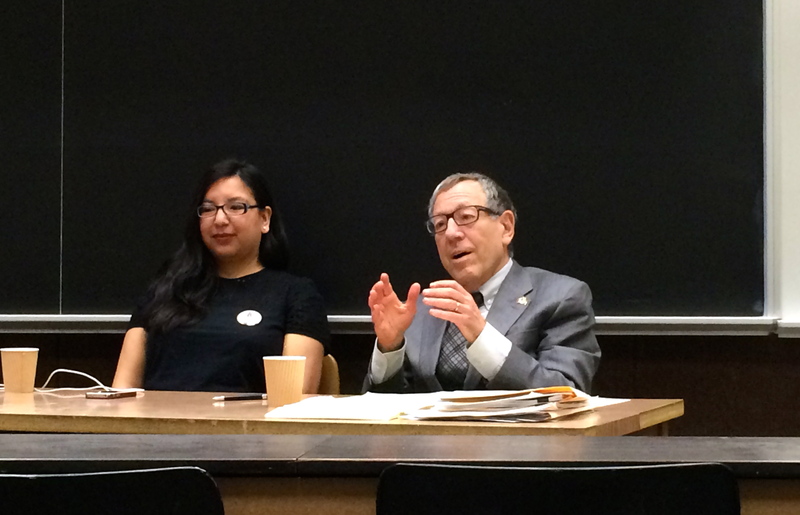 Irwin Cotler and President of the Quebec Aboriginal Peoples’ Commission (APC), Tanya Lalonde. Together, they addressed under-representation of women and indigenous peoples in government and proposed potential remedies to increase involvement of these two marginalized groups. Irwin Cotler is an MP and Professor Emeritus of the McGill Faculty of Law, specializing in women’s and minority rights. Most notably, he served as Minister of Justice and Attorney General from 2003 to 2006 and served as vice-chair of the sub-Committee on Human Rights and International Development. Tanya Lalonde holds a Bachelor of Social Work from McGill University and has spearheaded initiatives to promote child welfare issues and the rights of indigenous peoples. She ran for candidacy at only twenty years old, seeking to make political changes for her people, bringing indigenous equity to national attention. Despite attempts at reform over the past fifty years, Canada still does not have electoral democracy. According to a report by the Inter-Parliamentary Union, Canada ranks 48th among 190 countries in regards to female representation in national parliament. At 25.2%, it stands just 3% above the world’s average, placing behind countries including El Salvador, France, South Sudan, and Spain. However, the United Nations holds that at least 30% female representation is required to ensure that legislation creates policy that adequately represents women’s concerns. Similarly, indigenous peoples are severely under-represented, currently holding just seven seats in parliament, which amounts to only 2% representation. Throughout his career, Irwin Cotler has been deeply involved in fighting for the rights of marginalized groups. He was a key force in the reform of the Court appointment process, which consequently became the most gender-equitable high court in the world. The importance of his work became especially apparent to him when he attended the 1993 World Conference on Human Rights in Vienna, which highlighted both the rights of women and indigenous people. Cotler remarks that the female participants were the “energizing advocacy” for the issues addressed at the conference, as they had an indispensible role in propelling forward the human rights agenda. Cotler, the longest serving male member of The National Liberal Women’s Caucus, explains the stark differences between the discourse of exclusively female parliamentarians and that of Parliament. 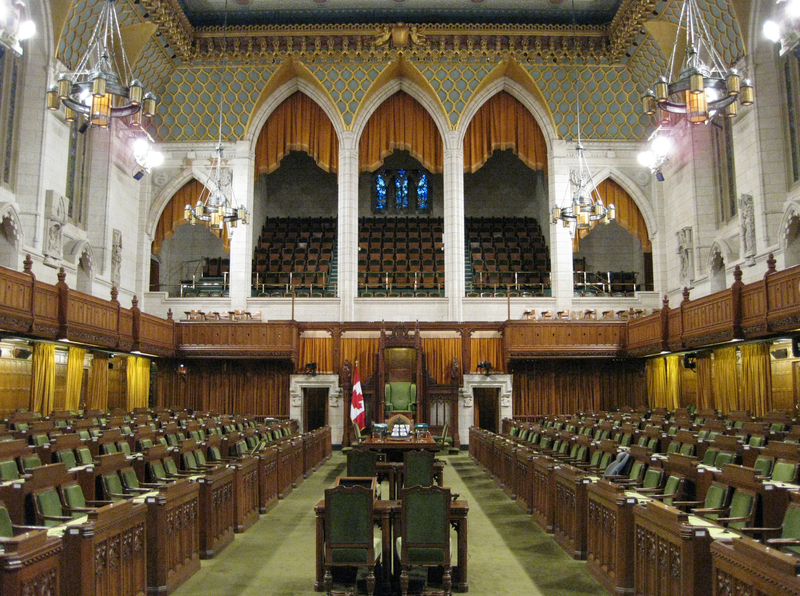 “The women’s caucus has a cultural sensibility that is lacking in the discourse of Parliament.” He remarks how issues of social policy, environment, childcare, and human rights, which are typically not at the top of Parliament’s priority list, are brought to the forefront of conversations at the Caucus. He even goes so far as to say, “The [women’s] caucus is a welcome respite to the virulence of the weekly Parliamentary proceedings,” which for him, have only become increasingly partisan, parochial, and adversarial. Unfortunately, many implementations sought by the women’s caucus he took part in were dismantled or never fully attained, such as a comprehensive early-learning and child care program, equal pay for workers, and gender-based analysis in federal-based decision making. Importantly, these are not just priorities for women, but priorities for all Canadians. Cotler argues that the increased inclusion of women and minorities changes the concerns of the parliamentary agenda, transforming not only the discourse, but the outcome as well, especially with regard to social justice and child welfare. Just as women have struggled to find a voice in Canadian politics, so have the nation’s indigenous peoples. Tanya Lalonde stresses the importance of encouraging indigenous peoples not to absent themselves from Canadian politics. She explains that they have been fighting for the rights of missing and murdered indigenous women for years, yet despite having the support of non-indigenous allies, very little has been done in Parliament to ensure safety for these forgotten women. Increased representation of indigenous peoples would likely push forward pressing issues that have been stagnant for years. In response, the APC has sought to increase equitable representation within parties and within politics as a whole. Despite its recent revival in Quebec, explains Lalonde, the Commission still struggles with the divide between indigenous peoples who believe in the political system and those who are adamantly against it. She highlights how this shouldn’t be surprising. She explains that throughout history “indigenous peoples have been told they don’t matter” and that the Canadian system was initially set up to “quash the voices of indigenous peoples”. However, past defeatism is met with future optimism. “We’re at a transitional spot as indigenous people in politics. This upcoming election is going to be an important one. We have the most Aboriginal candidates that we have ever had,” says Lalonde. How can female and minority under-representation be remedied? Implementations, such as voluntary quotas for party nominations or affirmative action systems with legal weight have been used in countries such as Belgium, Cameroon, and Iraq to increase female representation. Latin America has had great success with such a system, with many of its countries reaching or exceeding a gender balance. A 2005 poll indicated that fifty-three percent of Canadians believe political parties should have a quota to nominate a certain percentage of women candidates for election campaign, yet Canada still lacks such a system. Getting women and minorities in government is one challenge. Keeping them there is another. Highly gender-equitable governments, such as that of Sweden and South Africa, have seen decreased female representation in recent years. In reply, Cotler argues that efforts must be made to make Parliament more family-friendly. Lalonde attests to this first-hand. A mother of three, she left the political arena to raise her children, finding it difficult to balance both her career and family life. Cotler suggests four days of parliamentary session per week rather than five days and additional child care centres so that both mothers and fathers do not feel as though they are compromising the welfare of their families. Canada must learn from the success of others. Rwanda is an example of a country that has managed to elect and keep women in government, ranking first on the IPU list of gender-balanced political representation. Indeed, Rwanda has managed to restore itself and flourish, bringing women’s issues to the forefront and advocating for feminism internationally, thanks to the increased participation of women. Similarly, a study of sub-Saharan Africa, by the University of Lexington found that increased participation of women in politics encourages the political engagement of women at the citizen level. Moving forward, gender-equitable and indigenous representation must become a national conversation, so that Canada may make space for women and minorities to effect change. If a country that calls itself a democracy does not have an egalitarian system of representation, it has little cause to call itself a democracy at all. Feature image by Katrina Kairys.